The Biggest & The Best. It's Truly One Of A Kind. Our 3-Shelf Cart is the ONLY nestable three shelf cart in the industry! So not only do you increase sales with its enormous 16.64 sq. ft. of loading surface, you also save space by nesting the carts when they are not in use. The two upper shelves can be easily removed, plus the rims prevent pots from falling. With the extra hooks for hanging baskets and a baby seat with a safety belt, this cart has it all. Not to mention it has been proven to increase sales. Get your own 3-Shelf success today! 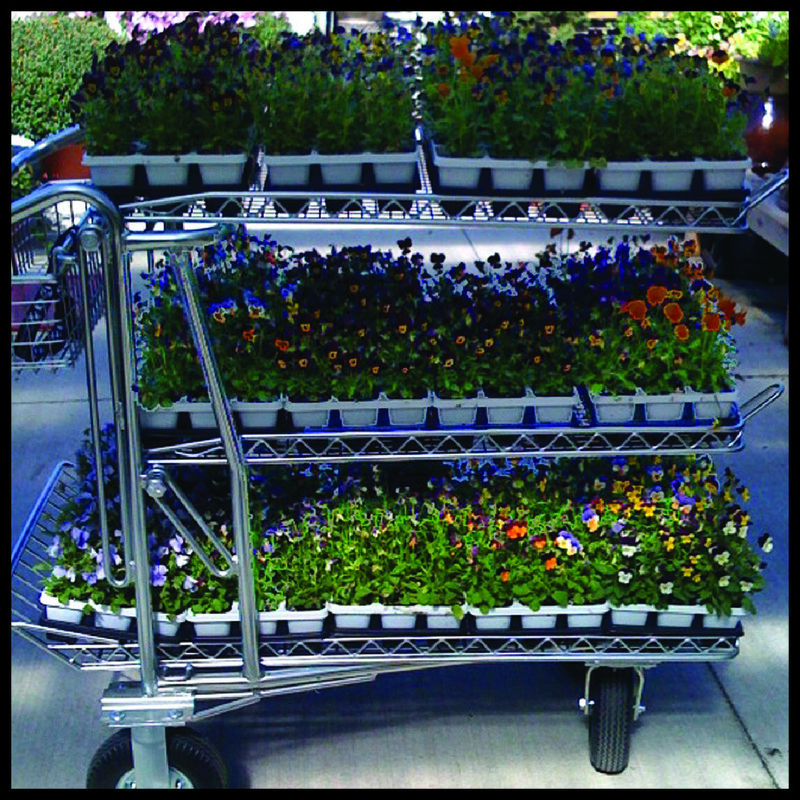 Customize this cart throughout the season! Use all three shelves for annuals, then take out the middle shelf for taller perennials. Buy the BIGGEST! Holds 13 Flats!